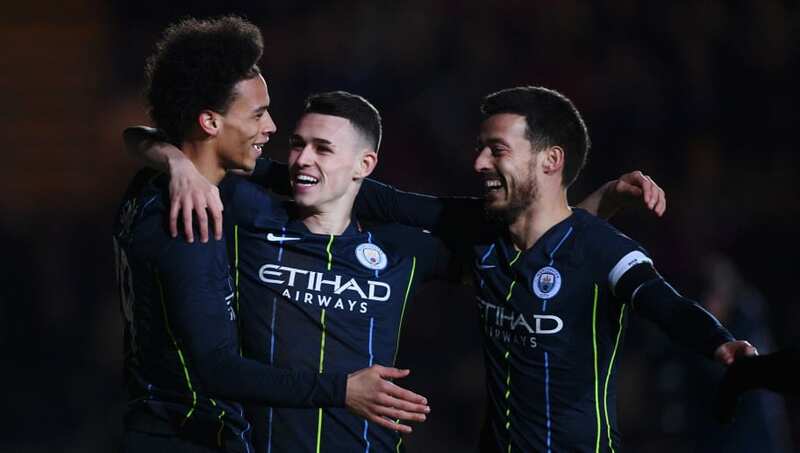 The FA Cup returned this weekend, and provided us a fifth round filled with excitement, if not the shocks we've become accustomed to. But it's greedy to expect too much from a tournament that's already given us so much this year. Sometimes you have to just appreciate what you've got. So, here's some appreciation, via the six best moments from this weekend. It would be disrespectful to compare Ederson's save on Saturday against Newport County to the late, great Gordon Banks' infamously impossible thwarting of Pele at the 1970 World Cup. On the one hand you have the biggest stage of all, the best team of all time and perhaps the greatest player to ever grace the pitch. On the other you have Newport County, Tyreeq Bakinson, and a suitably terrible pitch. Still, it was hard to watch the Brazilian scamper to his right and thrust out a palm to stop a low goal-bound header from the midfielder and not at least think of the great man. This may as well double as the Best ​Kylian Mbappe Impression award, because that's who Dan James evoked when he burst through the Brentford defence - who were in turn admittedly doing their best Per Mertesacker (we're still waiting on a slowest of them all successor to the BFG, aren't we?) impressions. It helps the symmetry that the goal came from a block by James himself on Neal Maupay (more on him in a minute), who is French, and who's surname is sort-of similar to Mbappe's. A stretch? Perhaps, but then James has clearly done plenty of that throughout his youth, judging by those afterburners. Here's that more-on-Maupay bit promised a second a go. Yes, that's Neal Maupay - you'll just have to trust me. Then again, you'd know this could only be him if you'd watched the Brentford-Swansea clash. Because it was he, yes he with the 18 Championship goals in 29 games, and three from three in the FA Cup, who blazed a one-on-one chip over the bar with such assurance you'd think he was righting some Welsh wrongs from his country's Six Nations loss from a fortnight prior. Yves Bissouma was the best player on the pitch at the Amex Stadium when ​Brighton hosted Frank Lampard's Derby County™, but unfortunately he couldn't register his name on the scoresheet to concretely affirm this. Fortunately, he did notch both of his side's assists. His cross in for Anthony Knockaert's opener wasn't too shabby at all, and capped a tasty team move, but it was his wonderfully curling effort, after some classy footwork, that ricocheted off the post and into the path of Jurgen Locadia to all but seal the Seagulls' progression to the sixth round that sticks in the memory. Footballs sit up like that once in a blue moon for strikers, let alone goalkeepers. To be fair to Frank Fielding, though, it was his exemplary touch that provided him with an opportunity to leather home a last gasp equaliser against ​Wol​ves at Ashton Gate. Unfortunately, the ball just didn't quite come down quickly enough, giving his opposite number John Ruddy, and ample covering defenders, the time to smother the space. Still, the moment was there for the taking. Almost everything about Ashley Cole's crashing 81st minute score was vintage Cashley. The grit, the determination, the skill, the passion, the celebration - it was all there as a reminder. But the goal itself was very much a modern phenomenon. It was, after all, Cole's first ever in the competition, and in his first ever game for the Rams, no less. Can we now expect a Cole-scoring revolution in Derbyshire? Will we have to change the club's name from ​Frank Lampard's Derby County to Frank Lampard & Friends' Derby County? Or will he eclipse is teammate altogether and seal naming rights all for himself?